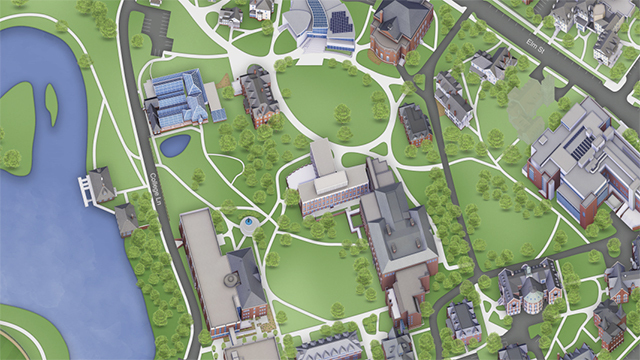 The Smith College map is an interactive wayfinding guide that allows you to scroll to various areas of the campus, zoom in and out, get detailed information on buildings and view overlays that show parking, accessibility and more. To find a building, select a location category, or click on the category to view an alphabetical list of all entries. You can also search by keywords. When selected, the building will be highlighted. A number of campus tours are also available by selecting the Tours tab. A full-color illustration of the campus, with building key, is available in PDF format for downloading, viewing and printing.